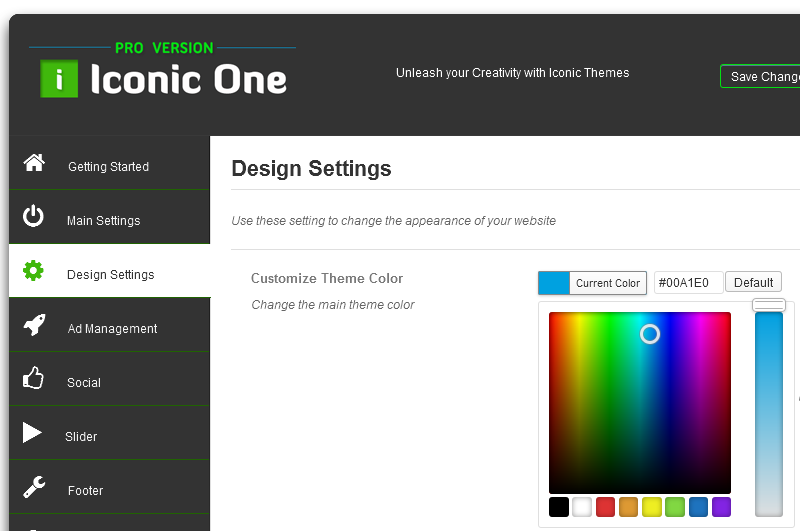 Iconic One Pro Features an user selectable unlimited colors, that allows you to customize your main theme colors in just a few minutes. We also have some handy little tutorials in the member area with exact color codes that will help you in making your website look gorgeous. You will have full creative control. We provide code updates on a regular basis, we have been supporting the theme for over 4 years now, do check the changelog at the bottom. 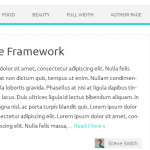 Theme has been rigorously tested by thousands of users worldwide. We also have 24 hour policy on urgent bugs/issues, simply email us from your member area and get direct on time help. With just a click of a button you can enable or disable site wide social bookmark sharing feature, you can also choose to enable specific social services to show while disabling the others, all just with a click of a button. Website social links are also available on the top right corner and can be easily modified via Settings page. Showcase your posts through the powerful Home Page slider, if you want you can also choose a specific category from which the posts will slide on the home page via the Theme Settings page. Category Slider: still using the boring category pages? the category slider will showcase your category posts in style. Both sliders are ultra responsive and are touch enabled for touchscreen devices. 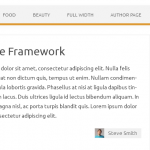 The Author page has been neglected for too long, with unique styling of the Author’s page you will definitely leave a great first impression on your visitors. The Author page will also display the Author’s social media links from their profile. The theme comes with an Ad management section with pre-defined set of areas where you can put your adsense ads codes, simply activate the section and enter you adsense ad code, you can check out these in Control Panel screenshots below. There is also a footer section area where you can enter your Google Analytics or Statcounter tracking codes. You can easily upload the main logo, website Favicon and WordPress Login page logo from the theme options panel. The theme is compatible with Yoast SEO and All In One SEO plugin, we have also not wasted any headings in sidebars. Titles are H1 by default so that your content will rank high. For visitors and search engines your primary article will load before the sidebar giving your content even more weight. We have used mobile first approach while building Iconic One Pro and it has been designed to load super fast on every device. Your website will get a pagespeed score of 92+ with Iconic One Pro easily. The latest standards that make it possible, Google can now detect outdated websites, so it’s better to be on the latest. The theme is properly coded to avoid plugin conflicts and is safe. Iconic One Pro doesn’t use any vulnerable scripts like timthumb. Retain your readers by offering related posts, simple options allow you to enable related posts with option to enable or disable thumbs. Smart design preserves the layout whichever option you choose. You can also enable or disable breadcrumbs and pagination feature of the theme easily from the options panel. Control Panel Screenshots : Nothing is hidden, check out Iconic One Pro Admin panel screenshots (click to enlarge). Detailed Iconic One Pro Documentation is available online. 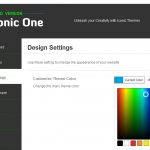 Q ) Can I use Iconic One Pro on more than one website/blog? A) Yes, you can. Iconic One Pro license has unlimited usage which means you can install it on unlimited no. of websites/blogs. Q ) Copyright link removal? A) You can easily remove the copyright link in a single click by going to Control Center -> Footer Settings in the Pro version. Q ) I need help in configuration of the theme? A) First check the most recent Online Documentation, it is very easy to browse with high resolution screenshots and explains most of the setup. If this doesn’t help, you are more than welcome to create a support ticket from the member’s area, you will also have direct access to developer email in your member’s area. We reply as soon as we can and normally in less than 6 hours. Theme is under active development, we use Git for code and revision management. We also provide guaranteed bug fixes within 24 hours to our Pro members if the need arises. 22/08/2017 – Version 2 – Major Release! * Pagination updated to work on Category and tag pages. * Added Sub-menu arrow indicator for Main menu. * New flatter mobile menu design. * Added New Page Template: No Title with Sidebar template. * Added New Landing Page Template: No Header template without sidebar and footer. * Added option of circular social buttons with a single click in the live customizer -> SocialNEW. * Added option of Linkedin and Youtube social buttonsNEW. * Social Media button selection: you can now hide the social buttons that you don’t want to show just by making the URL field empty and savingNEW. * Added Option to show Featured image automatically below post titleNEW. Available in Control Center -> Main Settings. * Email subscription box and Search box style fix – for consistent cross browser and mobile experience. * Fixed category/tags overlapping issue when large no. of category/tags are present. * Fixed undefined index login_logo error in wp admin login screen page. * Minor Header Logo text and description style changes, can be seen when logo is yet to be uploaded. * Added iconic-one-pro.pot file in /language folder for worldwide translationNEW with a mini tutorial in the same folder. * Fixed social sharing bar bug when there are less number of words in the home page excerpt section (when using manual <–more tag–> ). * Better looking Below Title meta background bar, now spans full width of the content container. * Added Exclusive Member Only Direct Support Forum link in Themonic Framework Control CenterNEW. * Fixed a display issue in the main navigation menu bar for older Internet Explorer versions – IE8 and below. * Header width now Auto – Big Logos won’t break the header. * Fixed the Vertical spacing between categories and tags when there are a large no. of tags. * Sidebar will now show nice looking search bar, recent posts, categories and tag cloud if no widgets are defined. * Added live customizer link in the Appearance menu-> Basic Settings for ease of access. * The Responsive Menu no longer requires setup, Iconic One menu responsiveness will now work automagically. * Nav menu <li> improvement, removed the background color for child hover. * Changelog.txt is now included. 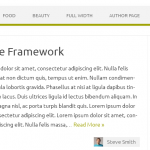 * Fixed footer debug notice in the Themonic Framework.